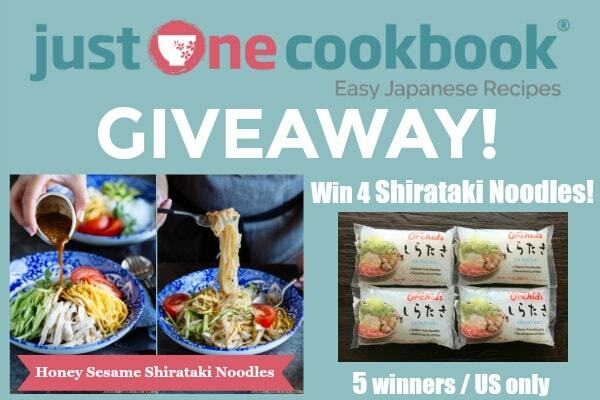 I’m excited to partner with Asian Food Grocer today and give away a set of Orchids Japanese Imported Shirataki Noodles (7 oz) (4 packages in each set) to 5 lucky JOC readers! Orchids Japanese Shirataki noodles are the highest quality available and provide the best results for taste, nutrition, and value. Low in carbs and sodium, with zero grams of fat and cholesterol, I recommend substituting noodles with these if you want to cut down on carbs. They have no flavor on their own, but will take on the taste of whatever they’re cooked with. 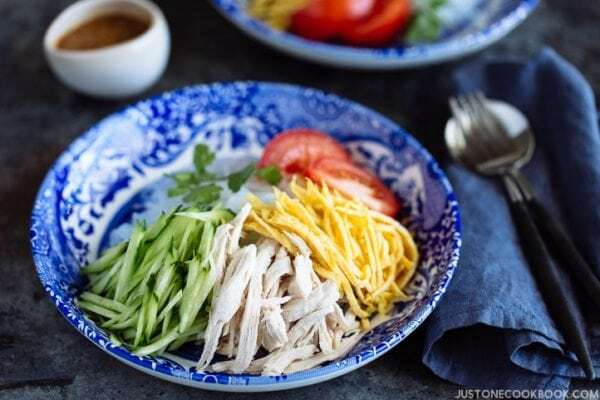 This makes them extremely adaptable and able to accommodate to your favorite foods; and whether it’s a steaming Italian dish, a spicy Thai stir fry, or a Japanese soup, we know you’ll love these noodles. 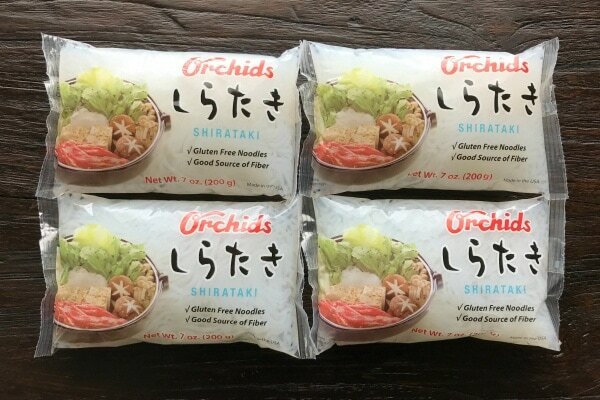 I’m giving away a set of Orchids Japanese Imported Shirataki Noodles (7 oz) (4 packages in each set) to 5 lucky JOC readers! This giveaway contest closes on Sunday, June 4, at 12 p.m. PST and is open to U.S. residents (due to shipping logistics – more international giveaway coming soon!). Five (5) winners will be selected via Random.org and contacted via email, so please include a valid email address in the email address entry box (please double check your spelling!). Ticket 2 (Optional): Like Asian Food Grocer Facebook and then leave a separate comment below on this post. Full Disclosure: This giveaway is sponsored by Asian Food Grocer. Congratulations Star (#176), Linda (#82), Renee (#229), Diana (#62), and Andrew (#12)! I’ll email you shortly. i subscribe to your newsletter, your FB and instagram! I like cooking with shirataki noodles but never had a great recipe to do something different until now! Hi Nami – I’m subscribed to your newsletter. I already Subscribe to your Email Newsletter. ???? I use shirataki noodles all the time in my Japanese hot pots! I already Follow your Instagram! The recipe is yummy and I would love to have some of the noodles to make them! 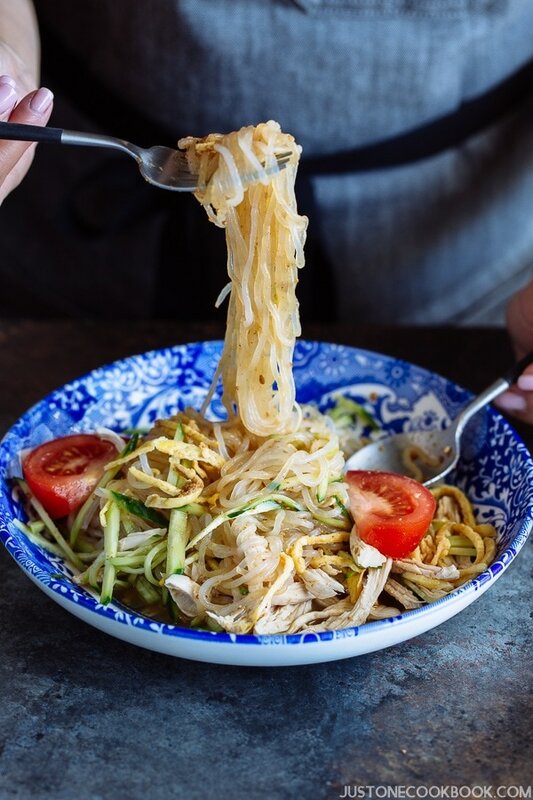 These noodles look light and refreshing for summer! I like Asian Food Grocer on Facebook! I could use these. I had the same problem as I got older. My metabolism came to a screeching halt, didn’t even slow. Even though I changed my diet and walked more I still gained 30 lbs in 6 months. My doctor said that is just the way it is. Thanks, Doc! Oh well. I love Shirataki noodles. Use it all the time but never tried with Honey Sesame. Must be good. I’m a loyal reader of your email subscription! So happy to find Asian Food Grocer! I have really been enjoying your recipes. Like you I love all kinds of noodles and breads but that is the main thing I have to cut down on with being Diabetic. I’ve enjoyed Shirataki noodles in Nikujaga that I tried recently. My whole family loved it. Please continue showing such wonderful dishes. Oops. Forgot to state I’ve been following your facebook. Liked the Asian Food Grocer page, followed your instagram and subscribed to your youtube channel. Have been a longtime subscriber to your email address! ???? your newsletters! I subscribed to your newsletter. Thank you Nami! I like Asian food grocer on facebook. I always wondered if the packaged Shirataki noodles were on the verge of spoiling because of the odor. I don’t remember the fresh Shirataki having an odor in Japan. I’m fascinated by these noodles and can’t wait to try them! Low in carbs, sodium, and no fat or cholesterol? Shirataki noodles sound like the perfect noodles! I want some! Love your blog! All the food looks so yummy! Love all your IG post! Started following not too long after getting onto IG. Do you follow TastemadeJapan? They have some interesting IG post..
YAY just signed up for your newsletter! Excited to see what’s to come! I love konyaku, and the face that it has no carbs. I have liked Asian food Grocer on Facebook. Really look forward to your videos. The recipes are easy to follow and delicious. Glad you use readily available ingredients or suggest alternatives. I love shirataki and can’t wait to try the new recipe! I subscribe to your newsletter and follow you on Instagram. I’ve never tried these noodles but would love a chance to do so. I liked Asian food grocer. I have tried this noodle once, I loved the texture, but didn’t like the odor from it! Is there one that does not have the odor? I liked Asian Food Grocer’s FB page, I’ve liked your FB page, I’m following you on Instagram, and I’m subscribed to your YouTube channel. I liked Asian Food Grocer on Facebook. Those “noodles” look very interesting. Already subscribed to your newsletter as well. I subscribe to your newsletter. 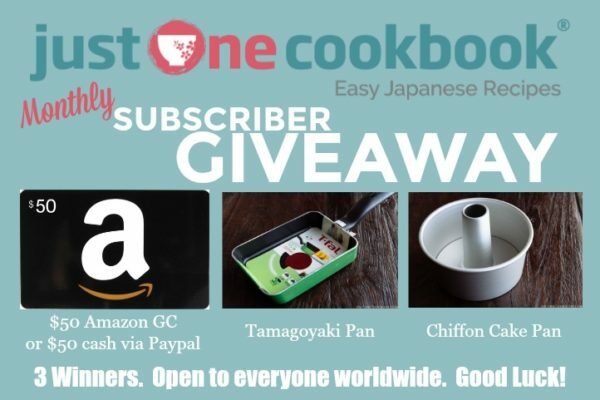 Thanks so much for hosting this giveaway; I’d love to try your honey sesame noodle recipe! I alredy like the Just One Cookbook Facebook page! I am so happy to have found your YouTube Channel! I look forward to receiving your newsletter! I am following you on Insta! Liked Asian food grocer on Facebook. 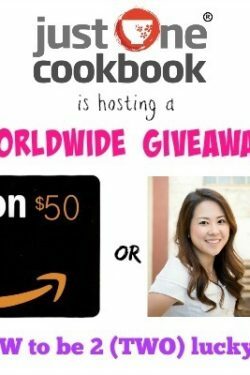 Thank you for such great recipes and wonderful giveaways. I love receiving the recipes in my email. I use shirataki noodles a lot when I’m doing a paleo/whole30 meal. I conttinue to enjoy reading your blog and wonderful recipes. Hmmmmm, yummy! It looks soooo good! I love konnyaku noodles! Can’t wait to make this recipe! Hi, I already am a subscriber to your email newsletter. Noodles look yummy…would love to try! I already like your Just One Cookbook FB page. Love the recipes! Going to try this recipe soon!! 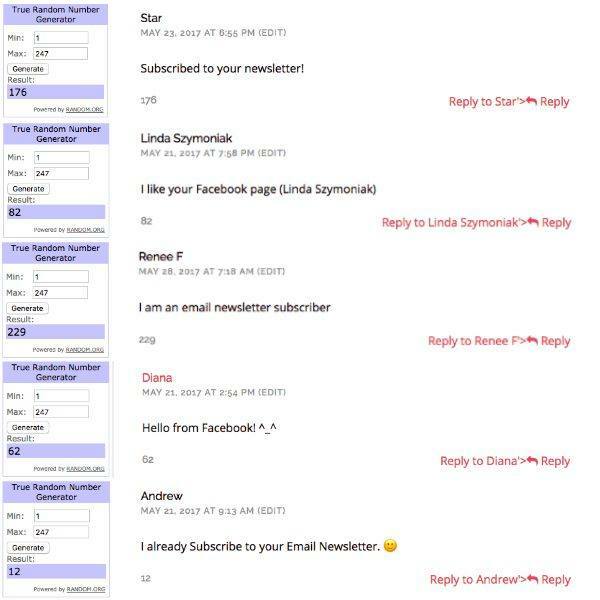 I am already subscribed to your newsletter! Thanks for offering another giveaway! I am following your instagram page! I just made your honey sesame shiratake noodle for the first time. I am so glad to have found an alternative to rice noodles. Thank you for the opportunity to win. Liked the Asian Food Grocer on fb! That looks delicious, and the Asian Food Grocer looks like something I’ll try since it is so hard to find such items in my area. Love shirataki noodles and since I can no longer eat wheat, they are my only choice. New Japanese grocer I’m unfamiliar with! Liked their FB page and can’t wait to see more! I’m subscribed to your newsletter, Facebook page & AFG’s Facebook page. Thanks for the opportunity! I’d love to try this! Hope I win. Done ticket 1 enter ???? Done ticket 2 enter ???? Done ticket 3 enter ???? Done ticket 4 enter ???? Done ticket 5 enter ???? Liked Asian Food Grocers fb page ???? Your fb is liked and followed ???? 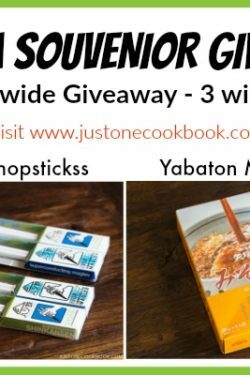 I would love to win these noodles to try out! My son has gluten allergies and I would love to try out some recipes using this ???? Pick me!! 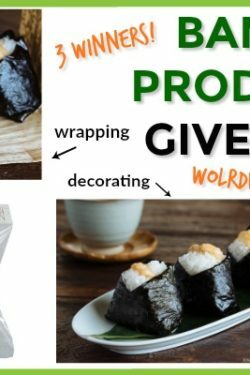 I liked Asian Food Grocer’s Facebook page! I follow your Instagram under the username hildeinhawaii . I subscribe to your YouTube channel under my name. Entered! would love to try this recipe! Like asian food grocer fb page! I already liked and follow Just One Cookbook on Facebook. Always enjoyed and forward to all your recipes!! Liked Asian Grocer on Facebook! Darn autocorrect, liked AFG on Facebook. 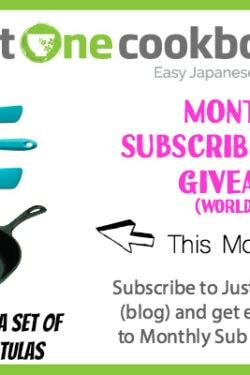 I am already a newsletter subscriber, but I just Liked Asian Food Grocer on facebook. I can’t wait to “window shop” and see what’s available at their site! I don’t have Instagram, but I just subscribed to your YouTube site and watched you prepare the Shirataki Noodles with Honey Sesame Dressing recipe. Looks yummy! Subscribed to the email list and following you on instagram! Hi, Nami! I really enjoy your blog and recipes. I’ve just signed up your email newsletter. I’m very excited to receive all kinds of goodness recipes from your newsletter! Thank you. Here’s my ticket #1. Hooray! This is my ticket number 2! BAM! For ticket #3, I liked it. I liked it real good! Who just did ticket #4? This guy! That guy, you know, the one who subscribed to your YouTube channel? That was me for entry number 5! Hi there! Long time suscriber here, thanks for the opportunity! I would love to try these noodles!